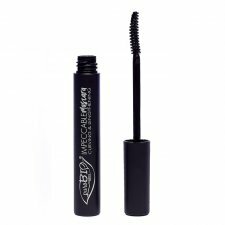 The Impeccable Mascara of PuroBio Cosmetics curls and relaxes the lashes, exalting their length while renovating. It is formulated with bio bamboo hydrolate, with its fortifying and restorative properties for eyelashes. 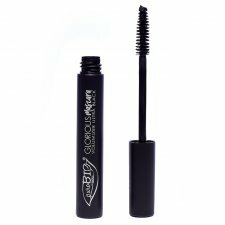 Strong texture and intense black envelop the lashes giving a natural effect. The hook-shaped spatula facilitates application, even at the most difficult points, and raises and defines the eyelashes that are curved and elongated. Extra-Black Mascara for defined eyelashes that give a look that will not go unnoticed. 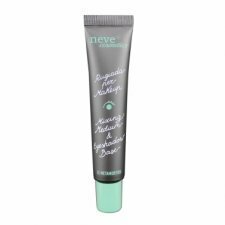 Formulated with aloe with soothing and moisturizing properties and vegetable glycerin that make the formula cremose and smooth, without weighing the eyelashes. These mascaras available in 6 colors are easy to apply and can be easily removed with shampoo. 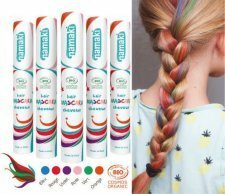 They have been developed for all shades of hair from a natural formula, respectful of children's health and the environment: organic aloe vera juice, glycerin, acacia gum. This certified organic mascara has everything great! Easy to apply, ultra long lasting, it gives volume to your lashes and intensifies your look in just one application. 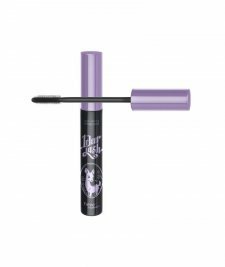 Long lasting mascara: it stays all day long without dripping or crumbling. The spiral brush, really practical and easy to use, avoid the loads of mascara and gives volume. Colour: black, Noir. Intense carbon black colour that highlight every iris. 9 ml - PAO 6 months. Made in France. Certified organic by Ecocert. Not tested on animals. PETA Cruelty Free. Brown mascara to enhance the look if you have blond hair or light brown.! 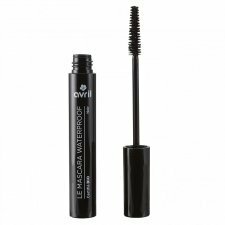 This one is certified organic and contains an extract açaï berry and some organic beeswax, two ingredients which protect and strengthen lashes. Spiral brush (synthetic hairs). 10 ml - PAO 6 months. No doe eyes without a layer of black mascara! This one is certified organic and contains an extract açaï berry and some organic beeswax, two ingredients which protect and strengthen lashes. Spiral brush (synthetic hairs). Made in France. COSMOS ORGANIC certified by Ecocert Greenlife according to COSMOS standard. Occhioni is a volumising mascara with a natural vegetarian formula that does not contain allergens, solvents, petroleum derivatives, silicones, collagens, acrylates, or parabens. Occhioni contains natural ingredients to nourish and pamper your eyelashes. 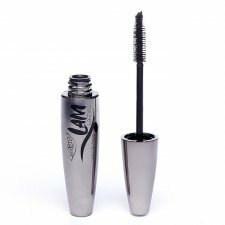 This special vegan mascara contains precious avocado oil that ensures easy application without causing any clumping. The blue-black mascara gives the eyes a dramatic and mystical look while the applicator wand ensures luscious lashes. This mascara ensures that your lashes are the talk of the town! 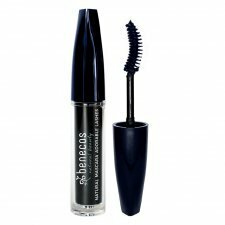 The precision applicator wand coats each individual lash with the deep black colour and provides volume. Avocado oil offers the perfect finish and a particularly special texture. 100% vegan. Perfum-free mascara, 100% vegan. 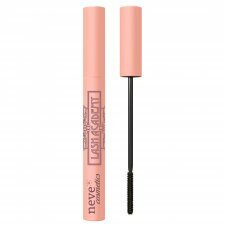 Good for short lashes due the particularly bushy brush applicator. 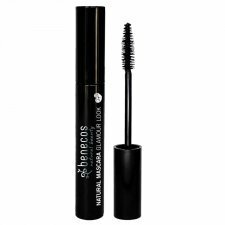 The Glorious Volumizing Mascara of puroBIO cosmetics, intensifies and volumes the lashes. 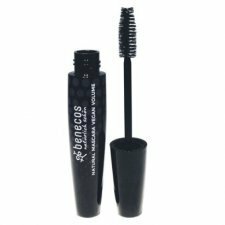 It is formulated with bio bamboo hydrolate, with its fortifying and restorative properties for eyelashes. The bold texture wraps the lashes giving a natural effect. The tannery, tapered, simple and practical in use, is designed to sculpt the lashes by giving volume to the smaller eyelashes in the final part of the eye. The result is an intense look that gives charm to the whole face. Precision, inspiration, transformation. The eyelashes are a virgin canvas waiting to host new beauty. 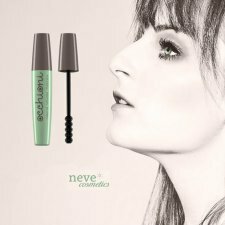 Lash Academy is born: the most artistic of Neve Cosmetics mascara! no parabens, petroleum and animal derivatives, silicones, acrylates, and it is vegetarian and vegan-safe.